VOGTLAND’s Race Springs are manufactured in Germany using our proprietary VVS Alloy. This special alloy allows our engineers to design the lightest possible springs to help reduce unsprung weight for improved handling and performance. 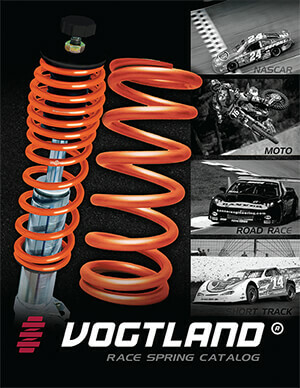 VOGTLAND’s Race Springs are Designed to increase spring travel and are 35% lighter than the other guys’ springs. Implementing the most current Wafios spring coiling technologies and our proprietary post coiling processes ensures that you receive a spring that meets the most current rules and regulations for linear spring rate characteristics. Our post coiling process includes tempering, shotpeening and a multi-stage presetting process. Finally the springs are phosphated and powder coated to provide a superior corrosion barrier. 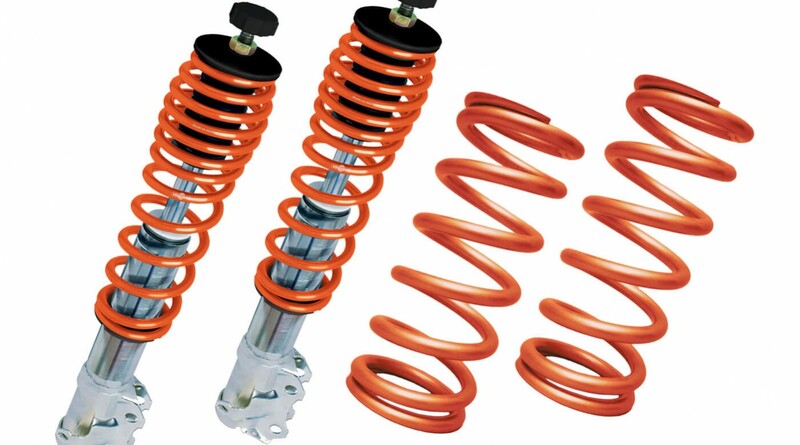 VR race springs are tested to perform under the most difficult Motorsports environments. VOGTLAND utilizes the most current generation Instron spring testing equipment so you can be assured that the spring rate is within 2% of nominal. We also implement rigorous dynamic testing standards to guarantee our race springs do not lose load capacity to ensure your setup before and after the race. When operating near solid height over the course of a race, VOGTLAND VR race springs will not let you down. Preload the spring 1200 lb. and deflect the spring for one Inch with a (.059115 mm rise plate. Preload the spring 750 lb. and deflect the spring for one Inch.